Eye makeup can take your best makeup game to the another level. It’s either make a while or break a while when it comes to eye makeup, really. Things can turn out wrong than expected. If you chose to try to practicalize things that you aren’t good at, you would definitely have yourself prepared for a hallowen party, rather than preparing for work. In this post we have provided a total guide on how to go about the correct application of your eye shadow, so without any further ado let go into the business of the day. Before we can start talking about the eye shadow, we need to look at the various products required to get the perfect eye makeup. The type of brush to be used for this tutorial is very important so as to achieve good result, so below are the brush we would be using through out this tutorial. Different brushes have different functions. One would be useful for packing on the eyeshadow, the other for blending and another for smoking out the lower lash line. Let’s look at a few of them. This brush can be used for applying eyeshadow on the eyelid, and also under the lower lash line. 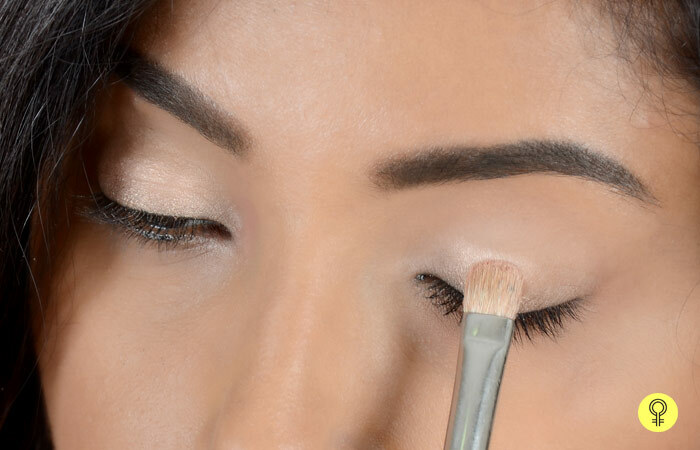 A flat brush is preferably used when it comes to applying the product on the eyelid. The MAC 239 is od the best product for this. This also turns out well when you want to apply a little glitter pigment where the stiff nature of the brush helps out in picking up the product sample easily. 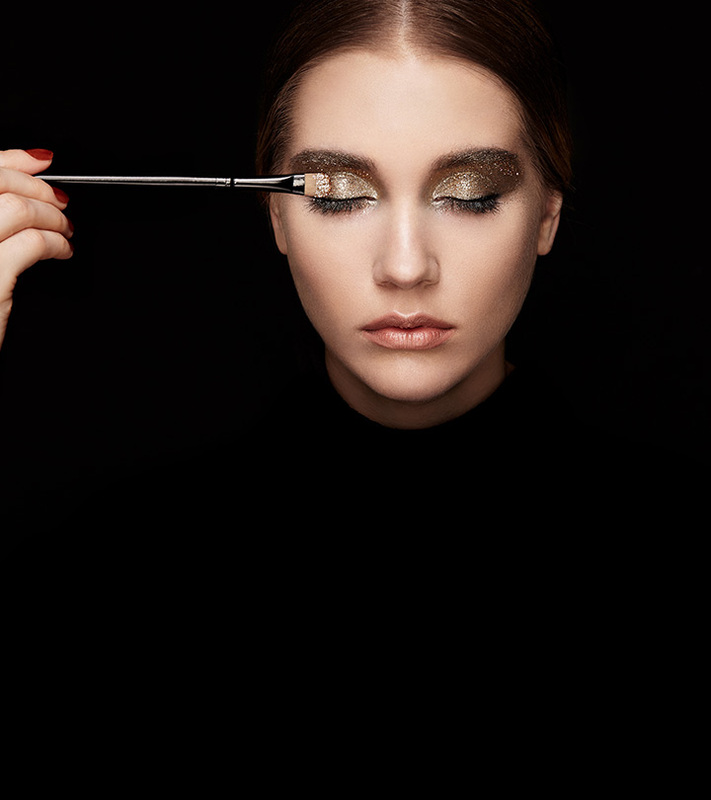 pencil brush is best made used of when you to apply the product onto the lower lash line. This best fits for when want to smoke out the lower lash line just for more addition, or if what you have in mind is just to produce a soft look. You can choose to apply this on the crease to produce a soft crease line. It is best to use them at the outer corners of the eye where intensity is the best fit. This brush is properly used for applying and blending out colors perfectly. It’is handier when you are using more than one color and want to portray a smooth transition without ignoring or removing the shade differences. The fluffy dome brush is is best made use for blending or leveling, and then – you totally guessed it right – blending some more. It helps you expose that flawless eyeshadow transition from one particular shade down to the other. It also helps to move any harsh lines and also makes the transition look smooth. This are the brushes needed for this tutorial purpose, so get your self and your brush ready for the tutorial because we are about to kick off the tutorial. Before we move into the steps for todays wonderful tutorial, why not checkout this interesting post on The Best 25 Eye Makeup tutorial, with this tutorial you can totally stop that everyday problem of what eye makeup you are to put on, the post would expose you to various option to chose when planning to apply some makeup on your eyes or you can also check out this post i wrote on How To Make Small Eyes Appear Bigger With Make Up, yeah you totally heard me well checkout the post to see the magic. Prepping the eye area is most important since it’s all about that base (Meghan Trainor might be talking about another base entirely, but she’s not wrong!). Start by making sure the are around the eye is clean. After that you can add up a moisturizer or an eye cream. Now, work on the eye area bt preping it with an eye primer so that the makeup could stay put and firm for a longer time and gives a good looking finish. You can do well to apply a concealer that is of the same color with the skin tone just around your eyes. Apply your concealer gently with your brush and then seal it up with a transparent powder in your set. This will give the eye area an even look, make the skin less crease, and also make sure you conceal any discoloration of the skin because It also creates a clean and better base so that the colors sit better. Now, this is the time for the main eye makeup. You should completely check out the full shape of your eyes and then think off a makeup technique that you would apply to fully enhance them. The main eye part consists of the eyelids, the crease, and also the brow bone. It’s fully necessary that you know and also note which shade or better texture to apply that best fit in each of these areas. Make Use of amazing textures just like frost/shimmer/shine on the eyelids and also on the brows bone, and make apply some finish touches on the crease to make the final fitting. Pro Tip– Make Use of darker shades of eyeshadows to contour the eyes at the crease point and use lighter shades close or at the center of the eyelids to make the eyes pop nicely. you should Start by gently applying the color you chose on the eyelid using a flat eyeshadow brush by applying in a sweeping or patting motion. Here, in this tutorial, a dull gold color shade in frost texture was applied, since there is very less or small lid space. This lighter shade made possible with the brush will make the eyelid more prominent and also smart. Start the application from the center and then maintain and also sweep it towards both inner and outer corners evenly also. Applying more of the color evenly would increase the intensity. Now, we are going to be concentrating on the crease area. Use a more darker shade of eyeshadow to define a every good eye shape.In order to achieve this, you could go for shades like deep browns, black, deep gray, dark purple, and some other deep colors. Start applying just from the outer corner of the eye just by making a ‘V’ shape, and then blend the pattern exactly halfway through the eyelid using a fluffy eyeshadow brush made for blending. you can use the wiper motion style. continue with the blending motio style until the color begins to look softer. In order for a good highlight to the brow bone, you should go with a more lighter shade using either frost or shimmer textures. To make your eye makeup standout, make use of a kohl pencil just on your lower lash line and Smudge it by making use of a smudger/pencil brush if your intentions are to make a smokey effect on your eye makeover. Pro Tip – By making using of a white/beige colored eye pencil directly on the lower part of the eyes is amongst the best way to make your eye look bigger and even more brighter. 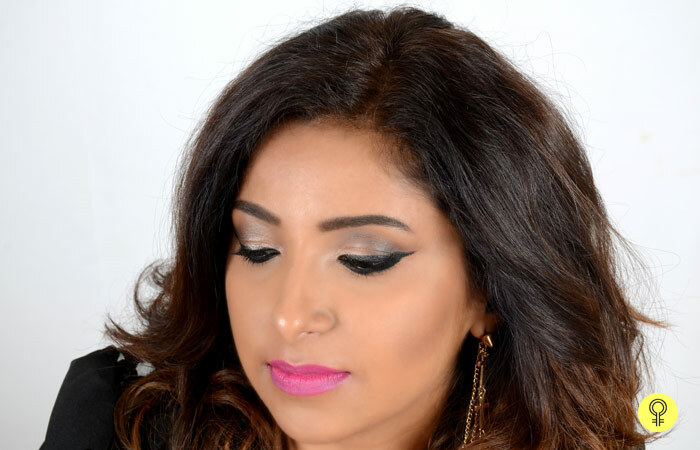 Applying eyeliner give your eye a more define shape and look. It is best to Start from the outer corner and gradually pull it inwards by using small strokes. If you chose to keep it simple, you can or chose to also make it dramatic. And finally here’s what we have. Afraid That Your Eye Makeup Will Crease? By Investing in a good base or primer as it will instantly boost your eye makeup and will make the eyeshadow stay put for a longer period of time. Make sure that you set your eyeshadow with a good powder base if you’ve used or planning to use a cream-based eyeshadow. you can Use a gel or waterproof eyeliner to prevent any transferring of the product. Note that It is always good to finish with your eye makeup first and then move on to your base makeup. 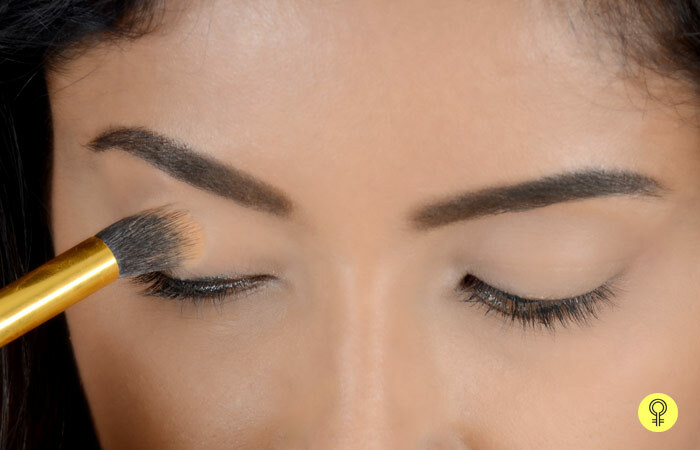 With this way, if there’s an eyeshadow fallout under or around the eyes, you can easily and quickly clean it up without spoiling and also maintaining your base makeup. To achieve a define crease area, use a pencil brush first and then follow by blend it with a fluffy brush. By choosing the best formula that works best for you you can be able to make a perfect eyeshadow that would be of best fit to your face outcome. In a case were you have hooded or deep set eyes, it would be best you apply the eye makeup with your eyes open instead of closed so that the crease color is actually visible and bold. If you are finfing it hard to draw the ‘V’ on the outer corner of your eyes, then you can draw a ‘#’ using an eye pencil and make a quick blend to avoid stark edges. In order to avoid eyeshadow fall out, powder the area under your eyes with a transparent or translucent powder before you begin the eye makeup so that Once you are done you would be able to sweep the powder off. 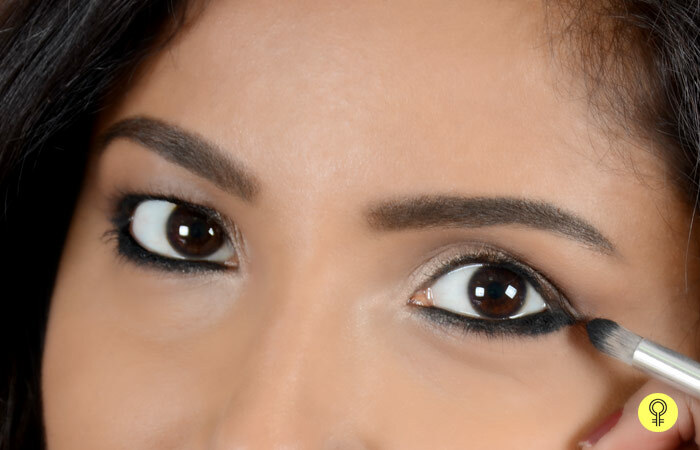 It is best that You wait to conceal your under eyes till after you are done with your eye makeup. Don't forget to use clean brushes as they would help to give you the best transition ever. Applying eyeshadow perfectly comes with a little time and patience which when achieved it becomes very easy. I can’t believe there was a time when I was intimidated! Now, I look forward to the days when I have to attend a party or a wedding so that I can go all out with my eye makeup! If you have any queries, just comment in the box below.